Cash Spin video slot is perfect for those who like simplicity in design. It is a 5-reel slot with 243 ways to win. 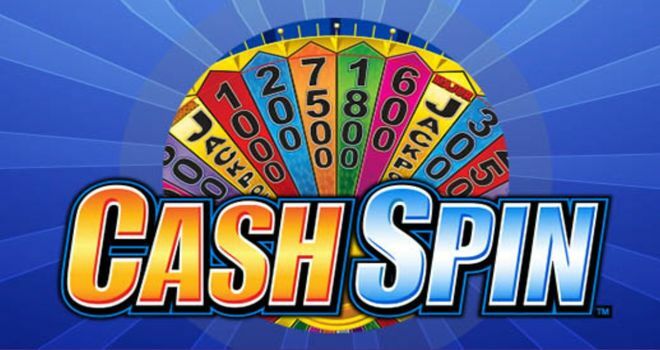 If you are more interested in nice rewards and prizes than into flashy looks, then you should definitely try out Cash Spin slot developed by Bally Technologies. Although simple, this slot is quite popular among players and has a lot to offer, such as Free Games, wheel of fortune and cash bags. So, there is actually something to really look forward to while playing this simple, yet rewarding slot. The Cash Spin slot game is fixed at 243 ways to win on every spin for the cost of 40 coins. The player can adjust the coin value in the limits of their own budgets. As already mentioned, the design of the slot is quite simple but nice. It is easy on the eyes, there are a lot of colors, and the whole slot seems so neat. The simplicity of the design is followed by interesting and fun sound effects that contribute to the whole Cash Spin’s vibe. Except for the ordinary low-valued symbols (ace, king, queen, jack, nine and ten), the slot comprises of a dollar sign and 3 kinds of gems: diamond, ruby and emerald, out of which the diamond pays the most. But the symbols you are to pay the most attention to are the Money Bag and U-spin Wheel, as they give you the opportunities for handsome rewards and prizes. You may win cash rewards or more free games. And naturally, the slot has the Wild symbol which substitutes for all other symbols, except for the U-spin Wheel symbol and Money Bag, and it appears on reels 2 and 4 only. Three of the Scattered U-Spin Wheel symbols on any position on the reels 1, 3, and 5 will start the U-Spin Wheel bonus feature. Upon unlocking the feature, a Wheel of Fortune will appear on the screen, and all you need to do is click to spin the wheel and wait for your prize. The rewards may be an instant cash prize or Free Spins. If you win the cash prize, the amount will be transferred to your account and the feature will end. But if you hit the Free Spins as a reward, then you will have more chances for winning. So, this feature is only initiated during the U-spin Wheel Feature. But if you win the Free Spins bonus at the Wheel of Fortune, then you will have 12 free spins to use. And during the Free Games Feature all pays are doubled. You can win initial free spins during the feature, and those spins will be added to the remaining Free Spins. So, there are a lot of free spins in this slot. Land 3 scattered Money Bag symbols on any position on reels 2, 3, and 4 and you will trigger the Money Bag Bonus Feature. When you do unlock this feature, you will be presented with three money bags. Each bag contains the prize, which can be from 3x to 50x your stake. So if you get lucky and pick the right bag you can win some handsome amounts. The great thing about this feature is that it can be triggered during both base game and U-spin Wheel Feature. As you’ve seen, Bally Technologies created a simple, but entertaining and generous game. With all its bonus features and various winning combinations, you cannot be disappointed with this slot; we certainly aren’t as Cash Spin has a lot of potential.